This past week, I had the opportunity to go down and spend some time in Las Vegas during CES 2012, attending conferences, scanning the showroom floors, and meeting with various clients. I wanted to write a few observations about the travel side of that trip. The majority of my days were spent at the Las Vegas convention center, and I stayed at a hotel within walking distance. Instead of paying for costly transportation during my stay, I invested in a three-day monorail pass for $28 and unlimited rides. It is very useful useful if you need to move around the Strip quickly and safely, the only exception being that some stations are located in unsafe neighborhoods not suitable for walking at night. Many of the stations even have direct walkways into the nearest hotels. Top of the World at the Stratosphere ($$$) – the restaurant is very posh and offers a stunning view of Vegas from 800 feet. I would describe the cuisine as Gourmet American Italian, if anything. Reservations are easy to set up via OpenTable, but be forewarned that semi-formal/business attire is required. Also, while the best time to go is at night, I do not recommend taking the monorail to get there. ‘Wichcraft ($) – For the sandwich lovers out there, ‘Wichcraft offers an excellent choice of amazing sandwiches! All for a good price, and healthy, too! 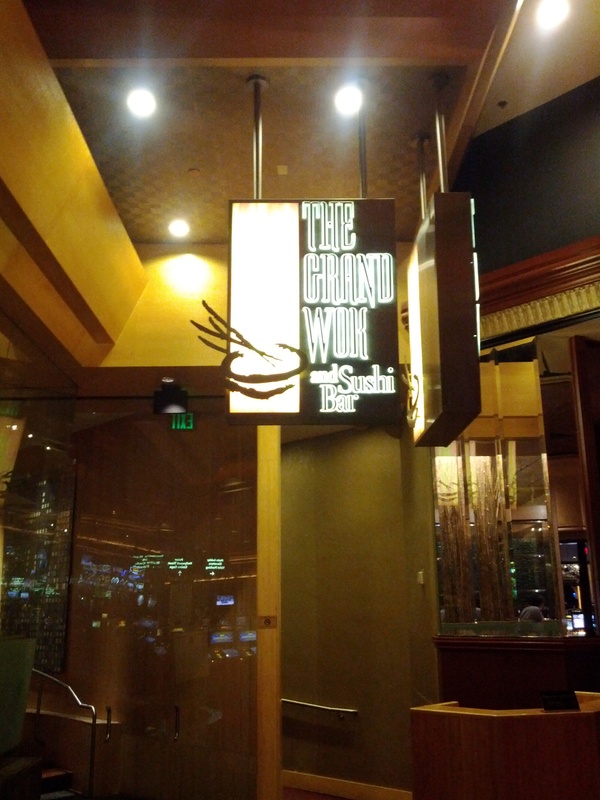 I recommend this place for any lunch-goers, and it’s easily accessible at the MGM Grand via monorail. Envy Steakhouse ($$$) – This restaurant is literally just south of the convention center and made for a convenient dinner. The atmosphere is very formal and trendy, complete with high pricing to match. That being said, the steaks are insanely good and come with a variety of sauces and salts to add more variety and flavor to your meal. The Grand Wok ($$) – Maybe it’s my Asian bias, but this restaurant at the MGM Grand offers some of the best Chinese food I’ve had since coming home from Taiwan! My entire conversation with the staff was all in Mandarin, and the food was excellent as well as authentic. I highly recommend it!